A local Church hosted a yardsale to raise funds for their Youth Group. The sign said it started at 8am. I drove over around 7:30 with my coffee and a book, thinking I'd just hang out and watch the people until it started. I don't know what time they actually opened the doors, but it was in full swing when I got there. I don't know who oversaw pricing of the donations, but they obviously were not very interested in raising very much money for their youth. 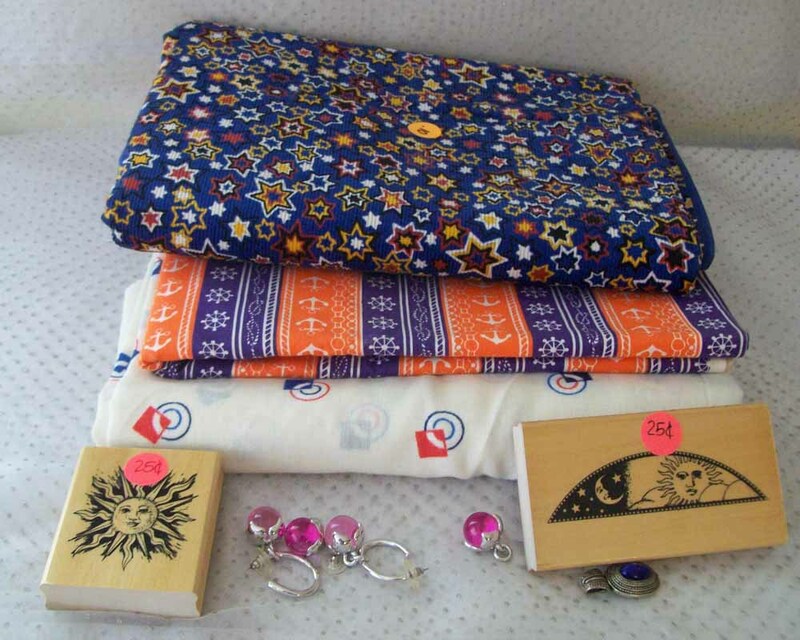 Case in hand, fabric (often several yards), marked at 10 cents each ! I didn't haul very much away, because the truth of it all is I don't need much in the line of arts/crafts supplies, coupled with the fact that I'm supposed to be downsizing !!! 3 pieces of fabric, each with more than 2 yards. They have no immediate plans other than inventory. 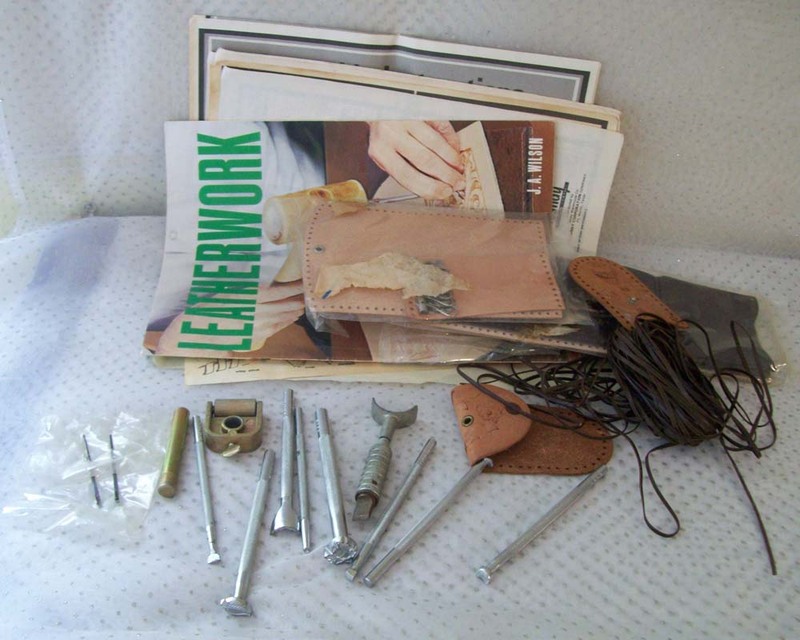 A set of Tandy Leather working tools & supplies for $1.00. I purchased for the tools. They have a variety of shapes, hearts, leaves, sun, moon, etc. I don't do leather work (not yet anyway), but thought they could by used on soft metals, clay, etc. I also kept the leather laces and put in my 'strings' box. The rest, a couple wallet kits and quite a few leather patterns, I put into a big plastic zip-lock bag and dropped in the Grans Donation box. Great bargains! Tools are expensive but you got an awesome deal!! !